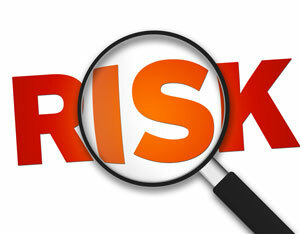 What’s Riskier Than the Riskiest Stocks? Any seasoned investor will tell you that buying one stock is riskier than buying a basket of stocks. The underlying concept is diversification—the idea that the movement of the shares of many different companies, taken together, will be smoother than the trajectory of any one of them. But the ETF market has managed to create composite securities that are even more volatile than individual stocks. A recent article in Investment News looks at the most volatile individual stock in the S&P 500—First Solar—which has a standard deviation of 66.02. That means its jumps up or down tend to be almost exactly 6 times higher than the S&P 500. That’s pretty wild, but not as wild as the ProShares Ultra VIX Short-term Futures Fund, an ETF with a 3-year standard deviation that is twice as high as First Solar’s: 132.9. Imagine that the markets go up or down 2% in one day, and you’re looking at 24% price movements. Those wild swings are not serving you. If the markets go down 24% (gloom!) and then rise 24% the next day (euphoria! ), you’re looking at a 5.76% loss for the two day period. Why? It takes a 31.6% return to recover from a 24% loss. The ProShares fund is not the only leveraged ETF that threatens to multiply your portfolio volatility. The Direxion Daily Gold Miners Bear 3x ETF sports a 3-year standard deviation of 125.45. A more popular investment, which Bloomberg recently listed as one of the top 10 traded funds by Millennials in 2015, is the triply-leveraged VelocityShares Daily 3x Long Crude ETN. It has a three year standard deviation of “just” 85.89, still higher than the most volatile S&P 500 stock, still nearly eight times higher than the index itself. The crude oil fund has lost an average of 82.67% a year in the last three years, turning a $10,000 investment into $52.01. The lesson? ETFs were created originally as less expensive, more easily traded alternatives to index mutual funds, providing diversification with low drag on returns. But the concept has been used—some would say misused—to create exotic instruments that are even more dangerous to your financial health than betting all your money on a single, volatile stock. The SEC is mulling whether to shut down the most highly-leveraged ETFs, which would have prevented Millennials from experiencing losses by betting on energy prices. Most of us can just regulate ourselves, and steer clear of the most volatile investments ever dreamed up by creative marketers.